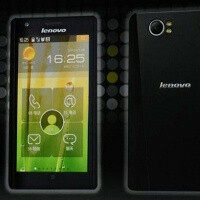 The Lenovo K800 is one of the first handsets to arrive with an Intel Medfield chip rather than an ARM-based solution and good news is that it will land on shelves as soon as next month. Intel’s China chief Sean Maloney confirmed that the K800 will land around the end of May on China’s microblog Weibo. The phone will come featuring Intel’s mysterious “Avatar Technology.” We’re yet to hear about what’s that exactly. We’ve seen the Medfield chip already deliver impressive performance. The Orange Santa Clara phone, based on Intel’s reference platform, outscored the Samsung Galaxy Nexus and its TI OMAP4460 silicon. It felt slightly short of the Tegra 3-stuffed Transformer Prime. The only thing I'm wondering about is compatibility with ARM. How are they planning to go around this? Also note that the Prime was outputting 1280x800p while the Santa Clara was pushing only 1084x600p, which means it was pushing nearly 70% more pixels... As well as the benchmark wasn't optimized for 4 cores like so many other benchmarks and finally the Prime was running Ice Cream Sandwich which reviewers have reported for some reason lowers the benchmark scores than when it was on Honeycomb. I hope Intel has ironed out the bugs and power issues, and this catches on. Make ARM compete for marketshare, they'll both improve.